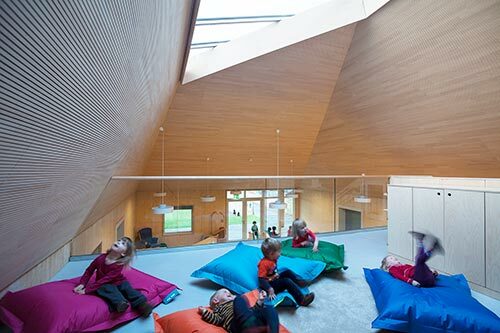 Arcadia Nursery has three playrooms linked together by a single-storey building, with a large roof light offering views up to the tree canopy. A first floor area contains offices, staff and family rooms. Each of the playrooms opens out to a covered terrace.